By Sam Koros. August 1, 2016. As Hollywood’s offerings are increasingly turning into nothing but sequels and reboots, people are going to the movies less and less. But for the discerning film buff, the Toledo Museum of Art is offering a chance to experience some of the cinematic art’s great classics. Beginning Thursday, August 4, director Godfrey Reggio’s stirring, epic and groundbreaking Qatsi trilogy, as well as his films "Visitors" and "Anima Mundi", will be screened on the TMA grounds. These films are stunning visual spectacles, interwoven with a surging and dramatic musical score by composer Philip Glass. The Qatsi films are art documentaries consisting entirely of images and music. TMA manager of programs, Scott Boberg, has found these films impactful since he first saw "Koyaanisqatsi", the first film of the trilogy, in 1983. 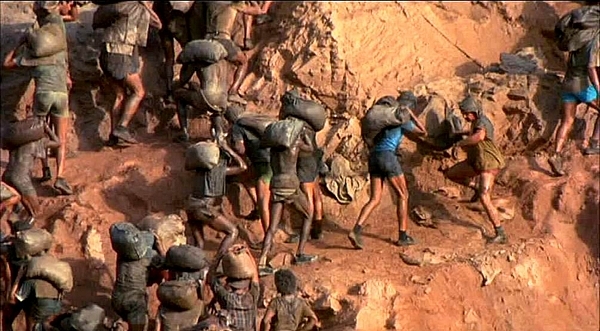 ​"Koyaanisqatsi", life out of balance, explores the delicate interplay between human civilization and nature. 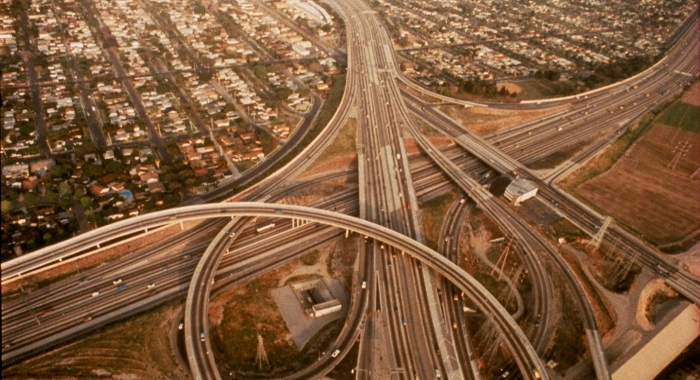 The film features groundbreaking visuals of natural majestic vistas as well as the dense man-made environs of modern cities. "Koyaanisqatsi" weaves together beautiful time lapse images of clouds rolling through the mountains with scenes of the vein-like, illuminated traffic flow of cities. This film focuses on the theme of tracing the connection between human civilization and nature, effectively illustrating the delicate contradictions of modern life. "​Powaqqatsi", life in transformation, focuses specifically on the subject of people. This film is a poignant and powerful portrait of the varying expressions of human survival around the globe. "Powaqqatsi" features intense cross-sectional views into how people around the world cope with subsistence. You will see images of crowded streets in parts of the world where cars and trucks share the road with donkeys, oxen, and carts. Powaqqatsi" is a powerful look at global poverty and the collision of the ancient and the modern. "Naqoyqatsi", life as war, deals with the age of technology and the fear of the future. The film deals with themes of commercialism, marketing, bioengineering, big pharma, and technological paranoia. A startling tapestry of images which convey an underlying sense unease associated with rapid technological development. "Naqoyqatsi" is a compelling preservation of how the future was conceptualized during the beginning of the new millennium. "Koyaanisqatsi" will be shown at 5:30pm, "Powaqqatsi" will be shown at 7:30pm, and "Naqoyqatsi" will be shown at 10pm. Reggio’s films "Visitors" and "Anima Mundi" will be shown Friday, August 5 outdoors on the museum grounds. "Anima Mundi" will begin at 9pm, and "Visitors" will begin at 9:30pm. To find out more about the TMA’s exciting summer schedule, see online.